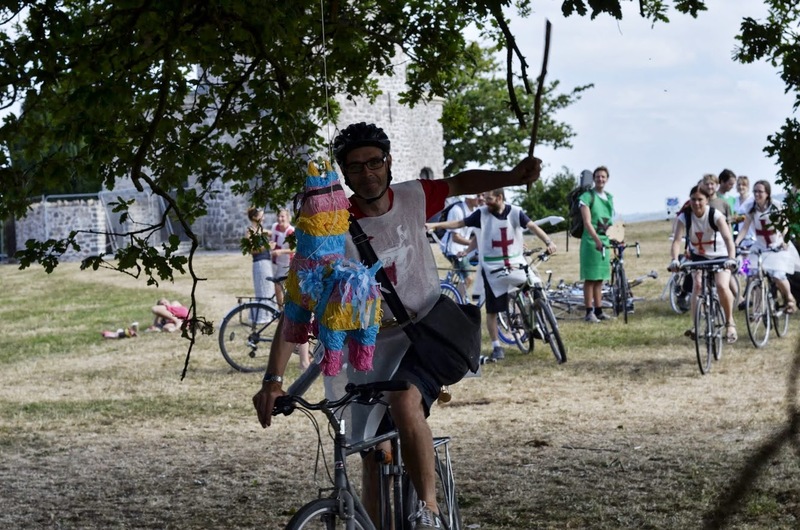 Join us for an easy, fun ride to celebrate Cyclepalooza 2014's closing: the Piñata Ride! We will meet at 1919 5A St. SW, in Mission at 5:30 PM. We will hang out there for a bit. We will leave around 6 PM and do an easy ride to arrive to our Piñata bashing location in Prince's Island. We will then hop on our bikes and take turns breaking the Piñatas. We will have 3 Piñatas, a Burrito and 2 bicycle themed ones. The Piñatas are proudly hand-made by a local business. Bring a fun attitude, and come fully ready to celebrate with Cyclepalooza the closing of our most successful festival to this date. Sign up to our Facebook event on the right to have an idea how many people will come up. Invite all your friends, the more, the merrier!